Words cannot express how thankful I am for the support you have shown my students. This was the first time I used Donors choose to fund a project and was amazed at everyone's generosity. The children and I are absolutely in awe of the materials we received. These materials lend themselves to thematic topics we are working on in class while providing opportunities to work on reading readiness skills such as: letter names and sounds, decoding new words and reading informational text. The children are so excited to use the LEAP FROG Pens, Leap pads and Leap reading materials in guided reading groups. They are excited to try each story and enjoy the equipment that came in our package. Their excitement to use the materials provides incentive to keep on trying, even when reading seems like a challenge. Thank you again for your generosity and support in completing this project. 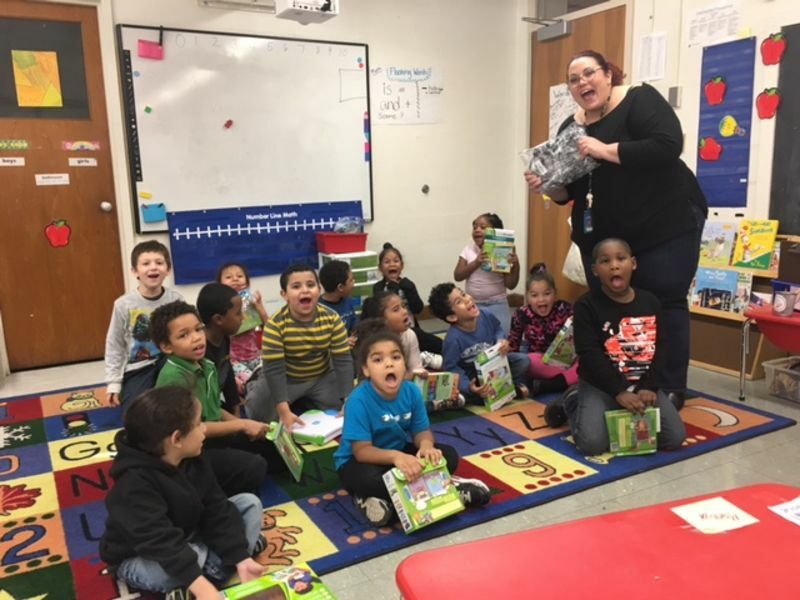 Your donations continue to help my students become the best readers they can with each and every use. Read about the project and view more pictures of her kids receiving the Leap Frog Readers.